It's Poetry Friday again, and it is also the last day of National Poetry Month. Enjoy! You can get to know Florian Douglas better by taking a look at his blog. Every morning I walk my dog Pinot on the trails around my town. I do a lot of thinking during these walks, and often write book reviews or stories in my head while Pinot eyes squirrels and sniffs things. This morning I was thinking about how things look different, depending on your point of view. So many of our problems exist because we refuse to consider the fact that there is another point of view. Here is a little video of a story that beautifully shows us that what might be a duck for one person is clearly a rabbit for another. The video is from the book Duck! Rabbit! by Amy Krouse Rosenthal and Tom Lichtenheld. I loved this book and am delighted that Chronicle books made this video for those of us who don't have a copy of the book. My review of the book is below the video. Enjoy! Have you ever been looking up the clouds when you saw a cloud that looked like a cat? And did your best friend tell you that the cloud looked like a car and not a cat? If this scenario sounds familiar to you, then this is a title for you. On the pages of this book you are going to meet – in a manner of speaking – two people who look at the same object and who see two very different things. When one person looks at the illustration on the page, they see a duck, and when the other person looks at the same illustration, they see a rabbit. Hmmm. What an interesting situation. With splendid humor and creativity May Krouse Rosenthal, who brought us Little Pea and Little Hoot, explores the idea that there are times when there is no right answer. Sometimes we just have to accept that someone else sees things in a different way, and that is perfectly all right. The Professor Garfield Foundation learning portal is a fun interactive online environment where children can safely explore, learn and creatively express themselves. The Foundation (PGF) was formed in 2003 as a 501 (c) 3 nonprofit organization to provide children, parents, and teachers an opportunity to enhance and support classroom learning in new and innovative ways. For over 25 years, Garfield creator, Jim Davis, has been encouraged by countless letters from parents telling him how Garfield has helped their child learn how to read. Numerous educators have also used Garfield and his comic strip friends as a powerful tool to teach and motivate children in the classroom. As a result, Jim has long held that the comics be not only a way to a child’s heart and funny bone, but also a student’s brain. Jim’s vision was to create a learning portal where children would want to visit because they would have fun, express themselves, and learn simultaneously. Content ranges from traditional subjects, such as reading, writing and arithmetic, to career goal exploration, art and activities created expressly for kids with LDs. Our partners include some of the finest corporate, technological, and educational organizations in the world including Ball State University, the Charles and Helen Schwab Learning Foundation, Pearson, Scholarship America and The National Institutes of Health. Who is Professor Garfield For? There are all kinds of wonderful things on the site. If you have a small child or children in your house you might like to take a look at the free toon e-books that they have online. Your children can have the books read to them, and they can choose from five languages. 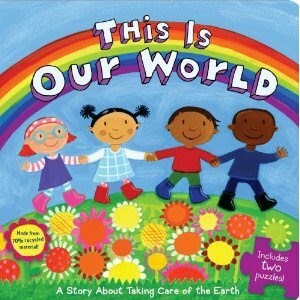 Here is another environmental title that I think parents and teachers will find very useful. Almost every day we are bombarded with news articles, television shows, and radio programs about the state of our environment. The situation can seem overwhelming, and many young people wonder how they can “possibly make a difference.” The truth is that one person can make a difference simply by implementing “little choices every day” that can help our planet. This book is full of activities that will help young people to better understand how their everyday choices both help and harm our home. There are five chapters in all, and at the end of each there is a list of “simple steps” that we can all follow to make our lives greener and more environmentally friendly. The author begins by looking at “Energy and Climate.” There is a short introduction about energy and climate and how they are related, and then the activities begin. These include coloring pages, a crossword, a word jumble, experiments, and much more. By the time readers have completed the chapter, they will better understand (among other things) how to conserve energy and what a carbon footprint is. Both teachers and parents are sure to find this book very useful as they try to find informative and interesting ways to help their children better understand their relationship with our planet. A few months ago I read The Carbon Diaries: 2015 by Saci Loyd. The book blew me away, and I was delighted when a second book, The Carbon Diaries: 2017, came out earlier this year. Both books are about what could happen should we continue to ignore the threat of global warming. The books are powerful, often humorous, and they will certainly give readers a great deal to think about. I was so intrigued by the books that I contacted the author and asked her for an interview. Marya: How did you first get the idea for this book? Saci: I'm not sure... I think that ideas are quite mysterious. They kind of furple about in the ether and suddenly hook you up. I remember thinking I wanted to create a gripping story about climate change that was funny too. I had Adrian Mole and Bridget Jones roaming about in my mind. Wondering how they'd cope with a rationing card. Marya: When you were a child, you spent a lot of time “wandering around the lanes and fields with dogs and horses like some kind of mythical bog child.” Did this immersion in nature make you sensitive to environmental causes when you were young, or was this something that came later? Saci: Yes, very much so. When I was young I would literally spend every waking hour fishing down on the rocks about a mile or two away from my house. And so there I was, sitting, not catching very much, and all around me is the sea, the sky, birds, rockpools. It sinks in, you know, so that later when you realise the damage that's being done, you feel very protective. But having said that, I would never describe myself as an environmentalist. The damage done to the natural world is a symptom of the lack of global justice in the world. I believe we need to find a better, fairer and more stylish way to live ... and we need to do it fast. Marya: Your lead character, Laura, is pretty flawed, which makes her easy to identify with. How did you decide what her flaws would be, or did she decide those for you? Saci: No conscious decision really. Characters tend to have strong ideas about their own development. Laura pretty much appeared fully formed once the first sentence was written. She just wasn't taking any guidance off anyone, least of all me. Marya: So many people are ignoring all the warning sighs that global warming is a reality. What do you have to say to these people? Saci: Sort your heads out. Marya: In your book the chaos and upset in Laura’s home is mirrored by the chaos going all around her because of global warming. Was this something you planned? Saci: Er, well ... these people are going through a huge transition. Of course they're going to be all over the place. Climate action has become a reality, not something on a march or in a newspaper or on a website. Marya: Though it may seem an obvious thing to ask, what was your intention when you decided to write this book? Saci: I wanted to be part of a movement for change and I wanted to make people laugh. The characters aren't speaking some pre-ordained preachy dialogue, they are truly facing up to what i believe will be a near future reality. Marya: In the second book, The Carbon Diaries 2017, the global warming crisis is escalating. Not only are the world’s sources of fresh water drying up, but social unrest is rife. Laura comes face to face with anger and violence on the streets. This is pretty dark stuff. How did this darkness find its way into your story? Saci: Well, I didn't intend for it to be dark ... it was a natural extension from what had gone before. As in the first book, everything in this book is meticulously researched and has mostly already happened. If the book is dark it's because reality is dark. Laura herself remains undimmed, though, I hope. She is living through big times, but she is facing it all with fire and scathing wit. Marya: At first, the reaction of the British government to the crisis seems unrealistic, but after a while one can see how the authorities, or “feds” as they are called in the books, might indeed take a draconian approach to the situation. Why did you decide to explore this more political aspect? Do you feel that it is important for young people to take part in the political process? Saci: It's funny, because I think the first book is just as political as the second, but because it's set in a family and is more domestic in theme, it seems to escape the dreaded 'political' name tag. Many countries in the world already have controlling regimes as described in the book and it's kind of funny to think people consider it shocking that this could happen in the democratic west also. In terms of my research I was very interested in the time around the First and Second World Wars, when Europe became highly polarised.... in essence the battle of whether to work together, internationally and share - or to protect what's yours at all costs. We're seeing this battle writ large in American domestic politics right now. In my experience young people are extremely interested in issues, they are just not interested in a corrupt political system. Yes, it's vital that they get involved. Marya: I imagine that many readers are going to want to know what happens to Laura and her friends. They will also want to know what happens to the world. Are humans able to undo some of the damage that the planet has sustained at our hands? What will you say to these readers? Saci: Ah! Well I think I've left them in a good place... riding off into the smoke of battle! They are young, passionate and their lives are before them. Of course we can undo the damage, but we need a lot of Laura Browns to do it. Marya: Is there going to be a third book in the series? Saci: Not for now. I've left Laura in a GOOD place, off to face a new life. I wouldn't mind coming back to her when she's fifty. See how fiery she still is, heh. You can find out more about Saci on her website. Make sure you also visit the Carbon Diaries website. 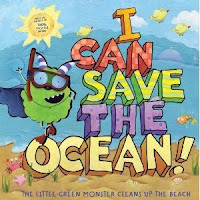 Here is another book for TTLG's Save the Environment Month. One day Max, the Little Green Monster, goes to the beach to have a picnic. Max loves the ocean, but he does not like having to clean up his picnic things. Then Max goes snorkeling, and instead of seeing fish and other ocean creatures, all he sees are pieces of trash. How can anyone enjoy the ocean if it is full of plastic bottles, old tires, and broken toys? There and then Max decides to clean up the trash from his picnic so that it does not end up in the ocean. However he doesn’t stop there. Soon he is picking up other people’s trash as well, and he decides that he needs to do more to make sure that the ocean stays clean. This amusing little book will introduce children to the idea that we all need to do our part to keep our environment trash-free. With the funny green monster as their guide, children will discover that many of their actions can impact the environment in unexpected ways, but at the same time there are things that they can do to make the world a cleaner, healthier, and more beautiful place. A glossary at the back of the book provides young readers with more information about the topics discussed in the book. Don't forget that there are many other titles about Saving the Environment on the TTLG website. April 25th is World Penguin Day! April 25th is world penguin day, and in honor of this day I have a review for you about a very special penguin who had a rather extraordinary adventure. In a big museum, at the end of the Africa Hall, there is a display of live penguins. Unlike their cousins who live in cold regions, these African penguins like warm temperatures. One day Pam, an aquatic biologist, notices that one of the penguins who is called Pierre is “in a jam.” He has lost most of his feathers and he looks very unhappy and very cold. 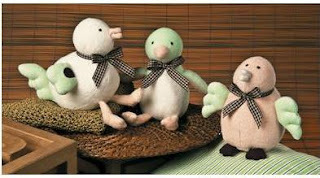 To make matters worse, Pierre’s odd appearance frightens the other penguins who bray at him. Wanting to help Pierre, Pam comes up with an idea which she discusses with the vet. Would it be possible for Pierre to wear a wetsuit so that he isn’t so cold and odd looking? This delightful tale tells the true story of Pierre, a penguin who lost his feathers and who was in dire straits until a scientist came up with a unique solution for his problem. With amusing rhymes and delightful illustrations, the hope-filled story in this book will warm readers hearts. You can find more reviews of books about penguins here on the TTLG website. All over the Internet children's literature bloggers celebrate books of poetry on Fridays, and today I thought I would join the club and offer you a review of a delightful book of poems. 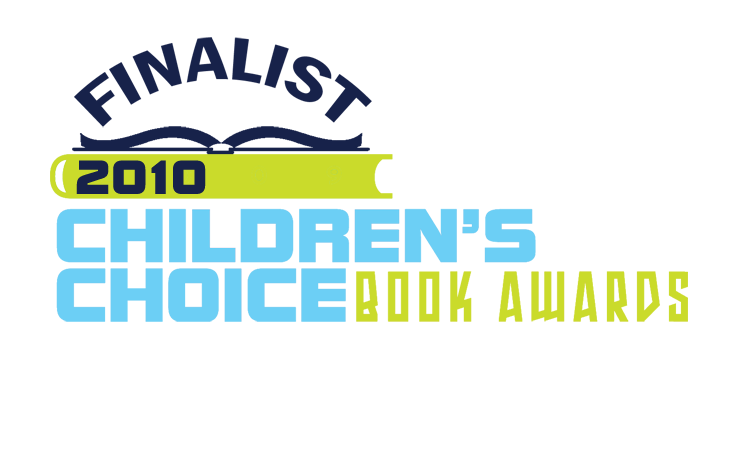 I just want to remind those of you who have children that voting for the Children's Choice Book Award is still open and will end on May 3rd. The complete lists of finalists can be viewed here, and you can cast your vote here. Give the children in your life the opportunity to be a part of this wonderful bookish event. 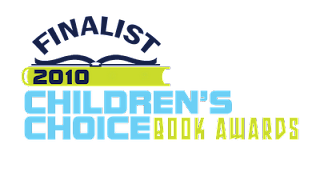 The Children's Choice Book Awards initiative is the only national child-chosen book awards program. The Awards are administered by the Children's Book Council. Voting will be open from March 15 to May 3, 2010. The winners will be announced live at the Children's Choice Book Awards gala on May 11 in New York City. The results will be online the following morning, so be sure to come see if your favorites won! The finalists for Book of the Year in the Kindergarten to Second Grade, Third Grade to Fourth Grade, and Fifth Grade to Sixth Grade categories are the books that received the highest number of votes in the IRA-CBC Children’s Choices program. This joint project of the International Reading Association (IRA) and the CBC began in 1975. Publishers submit hundreds of titles, all published in the previous calendar year, to be evaluated and voted on by 12,500 children. For the Teen Choice Book Award, the CBC and the CBC Foundation enlist the help of TeenReads.com (part of The Book Report Network) to select the finalists. The five books that receive the highest number of online votes are finalists for the Teen Choice Book Award. The Author and Illustrator of the Year finalists are selected by the CBC from a review of bestseller lists. Only authors and illustrators associated with books published in the previous calendar year are considered. The Children’s Choice Book Awards program was launched in 2008; the Teen Choice Book Award was added in 2009. The Children’s Choice Book Awards program was created to provide young readers with an opportunity to voice their opinions about the books being written for them and to help develop a reading list that will motivate children to read more and cultivate a love of reading. A few weeks ago I was thumbing through a magazine when I saw an article about a line of toys that are being made by Mary Meyer, a company in Vermont. The line is called Earthmates and there are three collections: Fuzz that Wuzz, Bamboo, and Organics. I contacted the people at Mary Meyer and asked them so send me some information about the toys, which they did. In fact they were kind enough to send me a sample animal from the Fuzz that Wuzz collection, and he is sitting on my desk as I write this blog post. Here is some information about the Earthmates toys. Fuzz that Wuzz is a collection of cuddly companions made from plastic bottles. The outer fabric and the stuffing are both high-quality polyester fiber made from 100% recycled plastic bottles. These toys feel as good as they look while helping to reduce waste. Each toy keeps 10 bottles out of landfills. The companions include an assortment of beloved friends: puppies, dogs, hounds, bunnies, bears, cats, moose, elephants, lions, penguins, turtles and more. All are designed to be loveable, pleasing toys that minimize waste as they are made from recycled products. According to Kevin Meyer, president of Mary Meyer, “Our intention is to do our part to set a course for a more sustainable future that minimizes waste, recycles and maximizes the uses of recycled materials. There is a long way to go but we are proud of what we have done with the Fuzz that Wuzz and all the EarthMates collection.” The Fuzz that Wuzz toys include dogs, a cat, a cow, teddy bears, a turtle, a horse, a rabbit, a monkey (which is what I have), an elephant, and a lion. There is also a six piece collection of Fuzz that Wuzz minis. Landfill Facts: Two million plastic bottles are used in the United States every ten minutes and 51 billion go into landfills annually. It will take 700 years before plastic bottles in landfills start to decompose. Less than 30percent of the plastic bottles in the United States are actually recycled. Bamboo is a collection of soft, easy-to-clean, sophisticated baby toys. These toys feature a gentle color pallet, and baby friendly designs. 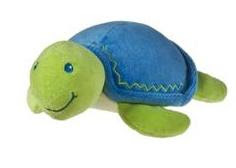 The toys are made of 80% bamboo and 20% polyester creating a soft, natural toy with all the durability and washability needed to survive as a child’s companion. In this collection there are three blanket animals, rattles and "Squeakums," and a variety of stuffed animals that include birds, a mouse, a horse, and a rabbit. 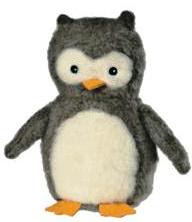 Organics use only 100% certified organic cotton fabrics and stuffing to produce the softest, safest, most huggable toys. They are all made without the use of toxins, harmful pesticides, chemicals or dyes. All colorants are tested to meet and exceed the most stringent global safety standards. Held to the highest standards and made from the highest quality, all natural, earth-friendly materials, these toys will delight children while helping to protect and preserve our environment. This line also includes rattles, blanket toys, and stuffed animals. You can find out more about these toys and purchase them at www.marymeyer.com. I promise you that the child (or children) in your life will love to receive any of these toys. We are just two days away from Earth Day and I wanted to give you some information that you might useful as you plan your Earth Day celebration. Here are some websites that you might like to check out. These are just a few of the many resources out there about Earth Day. Enjoy, and do let me know if you have found sites that you think are interesting. If you are looking for books about Earth Day and saving the environment take a look at the Earth Day feature and the Save the Environment Feature on TTLG. For Save the Environment Month I have found several delightful board books for little children. Here is my review of one of them. Many children are natural environmentalists. Without being told a great deal about why we should preserve and protect the environment, they are eager to do their part because it makes sense to them. This charming little board book will giving budding young environmentalists all kinds of information about what they can do to make the planet happier. Not only that, but every double page spread contains a puzzle piece that children can remove and then use to create a puzzle in the back of the book. On every double page spread one aspect of environmental action is explored. Children will learn about planting trees, cleaning up a beach, how to make something useful out of recycled items, and why planting a family garden helps everyone. With warm and bright illustrations and an easy to follow text, this is a perfect book to share with little children. Here in Ashland, Oregon, I live in a town where people are very active, where wild places are just a short ride away, and where children have plenty of outdoor spaces to play. Because of this, most of the children in this town are fit and healthy and they are environmentally aware because they have nature all around them. Unfortunately many children don't live in places where they can easily splash in a stream or hike up a trail. I was recently in New York City, and though there are many parks in the city ( including lovely Central Park) these spaces are often far away from a child's home. Many children in big cities simply don't have easy access to big school grounds and parks, grass to roll on, bike paths to ride on. If they want to play outdoors parents and caregivers have to plan an outing. For the week of April 19 through 25 (National TV Turnoff Week) consider turning off your T.V and make plans to got to a park, to ride a bike, or to plant some flowers in flower pots for a window sill or a patio. National TV Turnoff Week ties in beautifully with Earth Day, which is on April 22nd. Celebrate this day by helping your children get back in touch with the natural world all week long. Worried that "childhood play [has] officially moved indoors," the people at American Girl have decided to address the problem in their own way. 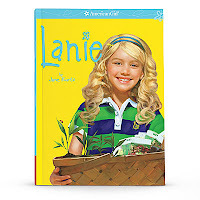 They have released a new doll, Lanie, who is "a thoughtful, energetic girl who discovers the world in her own backyard." There is "convincing research [that] shows that today’s children spend less time playing outdoors than any previous generation, leading to inactivity and increases in childhood obesity, attention deficit disorders, and even depression." The hope is that playing with Lanie and reading her stories in the Lanie books will encourage youngsters to see that there is a whole world of fun to be found outside. "Written by acclaimed author Jane Kurtz, the Lanie books—Lanie and Lanie’s Real Adventures —introduce readers to ten-year-old Lanie Holland. Lanie loves wildlife and the outdoors, but her family prefers to do things at home—and inside. When Lanie’s adventurous and outdoorsy aunt comes to stay with them, Lanie finds a kindred spirit and learns to connect with the natural world around her. Through everyday experiences—growing a garden, bird-watching, camping in her backyard, and creating a butterfly habitat—Lanie discovers how everything in nature is connected and learns there’s a wide, wonderful world right outside her door. To further engage readers, a section at the back of each book includes letters from real girls who, like Lanie, are looking for ways to enjoy the outdoors." In addition to bringing out the Lanie doll, American Girl is supporting the National Wildlife Foundation Be Out There program. This program encourages children to get outdoors, to get active, and to connect with nature on a meaningful level. If National TV Turnoff Week is rainy or cold in your area, you can always turn to books. Sylvan Dell Publishing has a gift for you for this special week. They are inviting readers to read some free e-books on their website. Take a look here to see what they are offering. Welcome to another review for Save the Environment Month on TTLG. This title is a little different, and it will appeal to gardeners and environmentalists alike. Children will love the idea that there is a way to turn household garbage into something that is useful. It might not be glamorous to compost, but it certainly can be fun! You may not know this, but there are many ways to recycle. Of course you can take bottles, cans, newspapers, and boxes to the recycling center, but you can also recycle other things – you can compost items from your home and turn them into good rich soil that you can use in your garden. So what is composting anyway? Composting is when you take biodegradable items and put them in a bin of some sort. Over time what you put into this bin will break down and turn into soil that you can give back to Mother Earth. This book gives you a “recipe” for “environmental chefs” who want to know how to make compost. The ingredients are easy to find and include “Apple cores/Bananas, bruised/Coffee grounds with filters, used.” In fact, all your ingredients for your compost stew are things that you would normally put into a trash can. Add “Kitchen scraps/Laundry lint from dryer traps” to your compost mix, then water it, mix it, and let it sit, and very soon you will have a “dark and crumbly, rich and sweet” gift for Mother Earth. I grew up on the island of Cyprus in the Mediterranean, and though I was lucky enough to get my hands on a selection of children's books that were published in the United States, some American titles never got to my part of the world at all. These included the books by Beverly Cleary, the author who created the characters Ramona Quimby and Henry Huggins, among others. I ended up reading these books when I was an adult, and I have to say that I have enjoyed every single one of them. Almost three years ago I moved to Oregon, the state where Beverly Cleary was born, and where so many of her stories are based. People here are incredibly proud of Beverly Cleary, and if you go to Portland you can even visit The Beverly Cleary Sculpture Garden in Grant Park where you can see the statues of Ramona Quimby, Henry Huggins, and Ribsy - some of the characters that Clearly brought to life in her books. Beverly Cleary was born in McMinnville, Yamhill County, Oregon. She was raised on a farm in McMinnville, and grew up in Yamhill, with no local access to a library. Beverly’s mother felt that this was a disadvantage for the students at the small farm school, and she made arrangements to have books sent there from the State Library. As a result, Beverly grew to love books. When Beverly was six years old, her family left the farm and moved to Portland, Oregon, where she attended elementary and high school. Her struggle with reading in this new school setting was blamed partly on her dissatisfaction with the books she was required to read and partly on an unpleasant first grade teacher, Mrs. Falb. Also, after six years of living in the country, on a farm, the city life in Portland took a toll on Beverly's health, and in her first-grade year she was frequently ill, which set back her schoolwork and reading skills even further. In the second grade, Beverly studied under her favorite and most-beloved teacher, Miss Marius, and by the third grade, she had greatly improved her reading ability and found a new enjoyment from books. She read The Dutch Twins by Lucy Fitch Perkins, and became a frequent visitor to the library. The grammar school librarian was largely responsible for developing Beverly's love of reading. She encouraged Beverly to check out books about subjects to which she could relate. 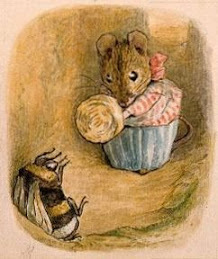 The librarian not only encouraged Beverly to read but also to write her own books, and instilled in Beverly the belief that she too could write for children some day. In 1934, age 18, she moved to Ontario, California, to attend Chaffey College, from which she earned an Associate of Arts degree. She worked as a substitute librarian at the Ontario City Library. After graduating with a BA in English in 1938 from the University of California at Berkeley, she studied at the School of Librarianship at the University of Washington in Seattle, Washington, where she earned a degree in library science in 1939. As college was expensive, and it was the Depression, Beverly had to work to earn money, through the cooperative education program at the University. One afternoon as Beverly took a break from her chores at work she found herself having a sandwich with a young gentleman named Clarence Cleary, her future husband. The Library Science degree allowed her to work with young children and develop a relationship with children at all socioeconomic levels. Her first full-time job as a librarian was in Yakima, Washington, where she met many children who were searching for the same books that she had always hoped to find as a child herself. Beverly sympathized with children who felt that there were no books written about children like themselves. This made Beverly more driven to help provide children with stories to which they could relate. In response to this experience, she later wrote her first book, Henry Huggins, which was published in 1951. It was about a boy, his dog and their friends, all of whom lived on "Klickitat Street" in Portland (a real street that was only a few blocks from where Cleary grew up as a child). According to Beverly, Henry Huggins and his friends represented all the children she grew up with, and the ones who sat in front of her during library story hours. As she crafted her first novel, she recalled advice from her mother and incorporated her beliefs that the best writing was simple and filled with humor. She also remembered advice from a college professor who emphasized writing about universal human experience. Beezus and Ramona, Cleary's first novel to feature the Quimby sisters as the central focus of the story, was published in 1955, although Beezus and Ramona made frequent appearances in the Henry Huggins series as supporting characters. The opportunity to work with children as a librarian opened new doors for Beverly Cleary. She wanted to write books for children but was unsure if she had the experiences needed to write what she wanted. A publisher wanted her to write a book about a kindergarten student; Cleary felt that she could not write about this as she had not attended kindergarten. She later changed her mind after the birth of her twins. She learned to add a little wit and charm to her writing for children, with the hope that this would spark an interest in reading among her students and encourage them to want to read more books of this type. She is now an international favorite among children’s authors. In 1940 she married Clarence T. Cleary and they moved to Oakland, California. They eloped because Cleary's parents were Presbyterians and did not approve of the union even after it occurred because Clarence was Roman Catholic. Beverly and Clarence Cleary had twins, Marrienne Elizabeth and Malcolm James. Clarence Cleary died in 2004. Beverly Cleary currently lives in Carmel, California. Her books are available in 15 languages in over 20 countries. Cleary has won many awards, including the Laura Ingalls Wilder Award in 1975 and the 1984 Newbery Medal for her book Dear Mr. Henshaw. Cleary received the Library of Congress Living Legends award in the Writers and Artists category in April 2000 for her significant contributions to the cultural heritage of the United States. In 1980, Cleary was awarded the Regina Medal from the Catholic Library Association. She received the National Medal of Arts in 2003. The Hollywood branch of the Multnomah County Library, near where she lived as a child, commissioned a map that is on its lobby wall of Henry Huggins's Klickitat Street neighborhood. Statues of her beloved characters Henry Huggins; the Huggins's dog, Ribsy; and Ramona Quimby can be found in Grant Park in Portland, Oregon. In June 2008, the two-campus K–8 school of the same neighborhood, Hollyrood-Fernwood, itself the product of a merger of two schools the previous year, was officially renamed Beverly Cleary School. As a child, Cleary attended the former Fernwood Grammar School, one of the two buildings that make up the school that now bear her namesake. In 2004, the University of Washington's Information School completed fundraising for the Beverly Cleary Endowed Chair for Children and Youth Services to honor her work and commitment to librarianship. In 2008, the school announced that she had been selected as the next recipient of the Universities Alumnus Summa Laude Dignata Award, the highest honor that the University of Washington can bestow on a graduate. She also has a residential hall at the University of California, Berkeley, named after her. Cleary’s books have been published in 15 different languages and have earned many awards. A few examples of awards she has won include a 1984 Newbery Medal for Dear Mr. Henshaw; a 1978 Newbery Honor Book for Ramona and Her Father; a 1982 Newbery Honor Book for Ramona Quimby, Age 8; a 1975 Laura Ingalls Wilder Award from the Association for Library Services to Children of the American Library Association; the Catholic Library Association's 1980 Regina Medal; and the Children's Book Council's 1985 Every Child Award. Cleary’s books have been read on PBS and ABC-TV. Do visit Beverly Cleary's website to find out more about her life and her books. This morning I got an email from Dan Yaccarino, an incredibly talented children's book author and illustrator. He asked me to share a trailer of one of his books with you. The book is about Jacques Cousteau, a man I greatly admired when I was growing up, and whose films helped to set me on the path to becoming a zoologist. I will have a review of The Fantastic Undersea Life of Jacques Cousteau for you as soon as I can get my hands on a copy. I gave my daughter this book for Easter and ended up liking it so much that we both decided that I should review it. A free demo of Stationary Studio - encourage your children to write! Yesterday an author friend of mine Peter Reynolds, told me about this great computer program that he helped to develop that children and adults will both love. It is called Stationary Studio and it helps children (and adults for that matter), even the ones who do not like writing, to see that writing can be a lot of fun. The program includes an easy-to-use word processor, decorative elements that Peter created for the program, an easy-to-use layout tool, and more. You can try the program for free and there is no expiration date either. If you like the program and what more templates and bells and whistles you can purchase upgrades. Take a look! Here is my first review for TTLG's Save the Environment Month. Enjoy! Ms. Frizzle and her class are going to put on a play about the Earth and “all the changes” that are taking place all over the planet because of global warming. One morning Ms. Frizzle brings in a book for the children to use to help them create pictures for the scenery for their play. Unfortunately, the book is rather out of date and Ms. Frizzle decides that the children need to go on a field trip so that they can better understand what is happening to the Earth and why. The adventure begins in the Arctic Sea, and when the children compare the picture in Ms. Frizzle’s book with what they are seeing outside of the school bus window, they quickly realize that there is a lot less ice outside then there was some years ago. Apparently, an area of ice the size of “Texas and California combined” has melted in the Arctic. The school bus (actually, it is a plane at this point) flies all over the planet and the children see how global warming is causing problems all over the planet. They see crops being destroyed by freakish weather, rising sea levels, melting permafrost, drought, blizzards, and much more. The question is what is causing all these changes? What is global warming and why is it happening? In this excellent Magic School Bus title, children are given a very clear and comprehensive picture of what global warming is, why it is happening, and what all of us can do to protect our home planet from global warming in the future. As with all the Magic School Bus titles this book is packed with information that is presented in a way that is both interesting and visually engaging. Climb on board with author Joanna Cole and illustrator Bruce Degen on Tuesday, April 20th at 1pm ET / 10am PT as they join Ms. Frizzle to celebrate Earth Day and their new book The Magic School Bus and the Climate Challenge at the Liberty Science Center in Jersey City, New Jersey! Simply register online, then tune in on April 20th and join the fun! Visit the webcast website to register.